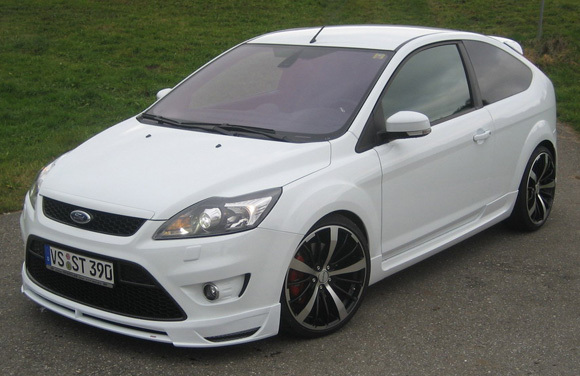 This is the 247-horsepower, turbocharged 2012 Ford Focus ST hatchback. It's coming to the United States. Watch your back, Volkswagen GTI. 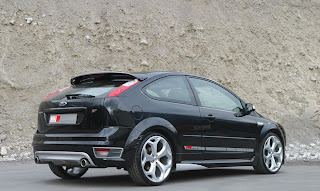 We've long lusted after the Ford Focus RS hot hatch sold in Europe, and while the ST is a slightly tamer version of the pocket-rocket RS, it still has plenty of kit to do battle with hot hatches the world over. The beating heart of the 2012 Ford Focus ST is a turbocharged 2.0-liter EcoBoost four-cylinder engine that produces 247 horsepower and 266 pound-feet of torque, mated exclusively to a six-speed manual transmission. Ford's new torque-vectoring power control system is on hand, which should keep the front wheels in line, as front-wheel-drive turbo cars are always prone to understeer and torque steer. The 2012 Ford Focus ST debuts in its new Tangerine Scream color, and we're quite fond of the way it looks on the bulgier, more aggressive Focus. The wheel wells are fully filled out with attractive 19-inch alloys in the Blue Oval's signature Y-spoke ST pattern. Additionally, the trapezoidal grille has been raised on the front fascia, making way for additional lower air intakes, and while Ford isn't keen on offering the base Focus with the LED eyebrow in America, we sincerely hope that it is left intact on the U.S.-spec Focus ST. Out back, the Focus' rear bumper has been completely reworked to incorporate a diffuser setup with a center-mounted sport exhaust. Inside, the 2012 Ford Focus ST uses all the same goodies found on the top-end Focus Titanium, but adds a set of Recaro seats (for both front and rear passengers) as well as some yellow-gold contrast stitching on many of the interior surfaces. 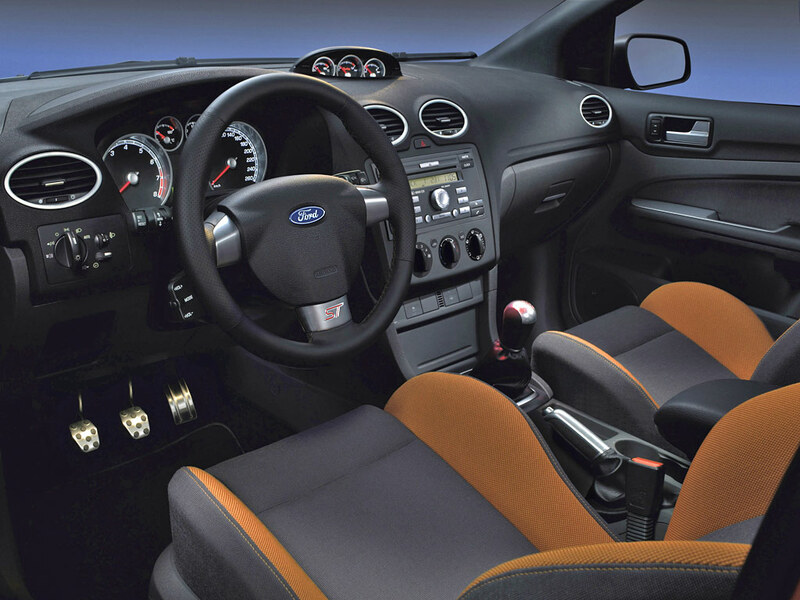 The Focus ST gets a bespoke steering wheel, and we must applaud Ford for creating a hot hatch interior that looks both sporting and high-end at the same time. 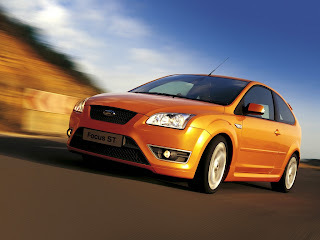 Watch for the 2012 Ford Focus ST to launch sometime in 2012. 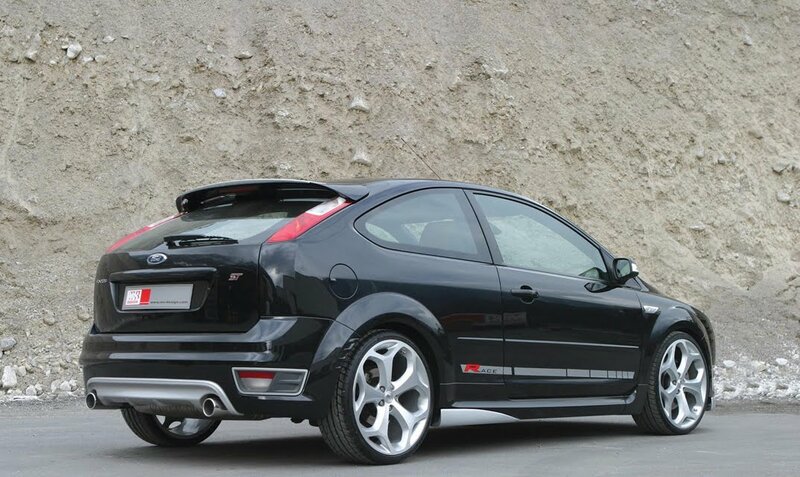 We haven't heard any rumblings about pricing, but if Ford can keep things near the $25,000 mark (fingers crossed! ), we'll be in business. 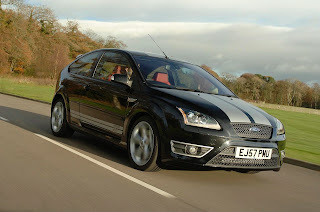 Oh, and consider our hot hatch comparison test planned. Follow the jump for Ford's press blast and scroll through the gallery below for a raft of high-res images.